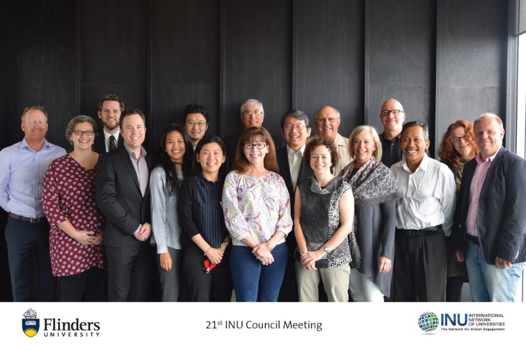 Representatives from the INU member institutions gathered at Flinders University, Adelaide, Australia, for the 21st INU Council meeting. In addition to regular member updates, delegates discussed new initiatives—a collaborative interdisciplinary research project titled Migration Movements in a Changing World: Challenges and International Management, managed by URV’s Centre D’Estudis Sobre Conflictes Socials; and the INU Nursing Leadership Collaborative which focuses on collaboration among INU institutions regarding the increased relevance of the global education of nurses. INU representatives welcomed a new member, Kingston University, Kingston upon Thames, United Kingdom, to the INU. An integral part of the INU Council meeting was the Indigenous Rights in the Global Context Seminar, organized by Dr. Catherine Kevin and Dr. Anthony Langlois, co-chairs of the Academic Planning Committee for the Global Citizenship and Peace programs, in collaboration with staff at the Center for Indigenous Strategy and Engagement, Flinders University. The representatives of INU institutions had an opportunity to learn about the topics students will be studying during the INU Student Seminar and Master’s Summer School for Global Citizenship and Peace. 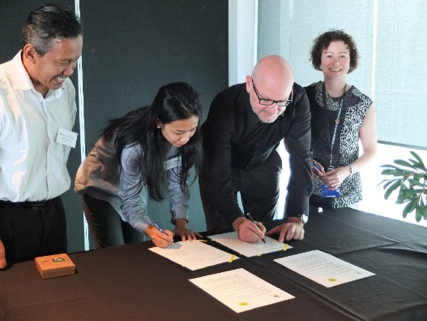 The INU Council meeting was also an occasion for Universitas Parahyangan Katolik (UNPAR) and Flinders University to sign an agreement for international education collaboration.